‘Singing For Songbirds’ is our latest creative campaign on behalf of Act For Wildlife, Chester Zoo’s conservation charity. Led by conservation experts, they want us all to act now and help save songbirds caught up in the devastating illegal wildlife trade. With this creative campaign, Act For Wildlife were particularly keen to get children and local schools involved, passing that all important conservation message onto the next generation. Found only in the forests of Indonesia, songbirds are known for their distinctive, elaborate sounds which echo all around. However, there is an increasingly eerie silence amongst the trees as these birds are disappearing at an alarming rate. Depressingly, they are being captured and kept in cages to provide entertainment, compete in singing competitions and act as status symbols for the wealthy. Songbirds are now on the brink of extinction. Act For Wildlife wants to change that by raising awareness and encouraging us all to act now. How do we act for songbirds, give them a voice and break the silence? 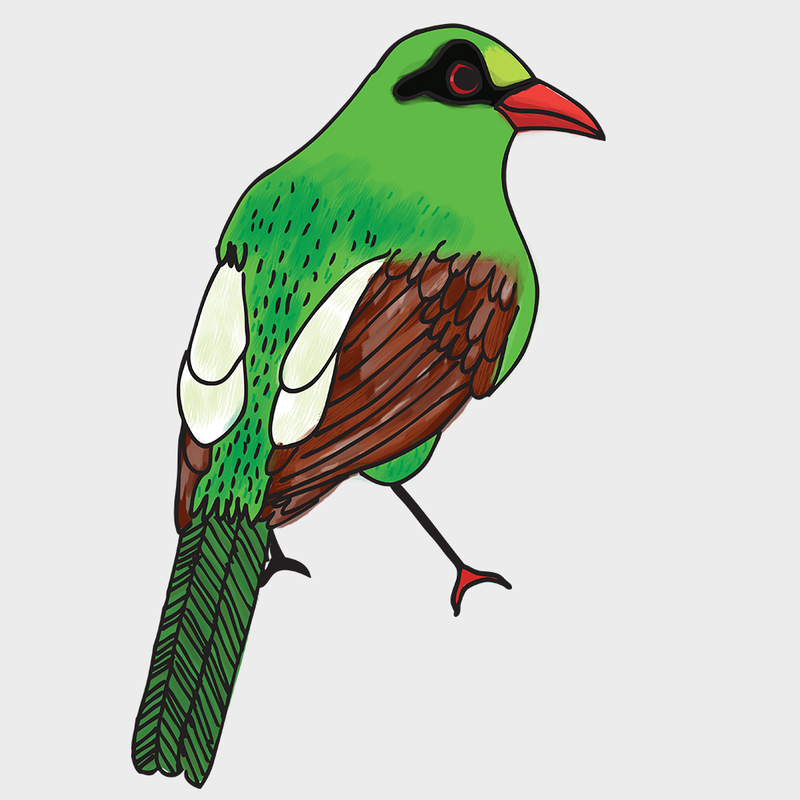 Act For Wildlife work closely with the Cikananga Conservation Breeding Centre in Java, to help manage insurance populations of Javan green magpie and black-winged starlings. Hopefully, these will one day be released back into the wild. Whilst the conservation team works to educate local people about their traditional behaviour and its impact, the team at Ultimate devised a creative campaign to spread awareness back in the UK. The main aims of the campaign were awareness, education and donations, but there needed to be a change of emphasis depending on which audience the campaign was addressing. All of our creative work had to tie in with, and complement the ‘Singing For Songbirds’ song which had already been commissioned by Act For Wildlife. We were also presented with a collection of photos and film, taken by the conservation team out in Indonesia, which needed to be woven in with our own imagery, including the feature animation which tied everything together. Given the clear focus on taking action, and thus raising money, we were also asked to create a fully downloadable fundraising pack which anyone could use. Act For Wildlife were keen for people to learn the lyrics of the song and put on their own performance as an educational fundraising activity. We had to actively engage with schools and provide teachers with the materials to educate, provoke interest and encourage support in formats that children will respond to. We needed to educate visitors to the Zoo who are unaware of the issue, by providing information that can be quickly absorbed whilst also conveying key messages and encouraging them to get involved. We included information for those who already firmly engaged with the Zoo’s charity work, with a particular focus on the ‘Act For Wildlife’ donors. We clearly demonstrated where their donation were going. Our creative campaign highlights the silence within the forests by using simple and powerful messaging and a distinctive graphic style inspired by ‘silent movies’. The campaign draws focus to the idea of giving birds a voice, by delivering the messaging using muted gestures, mime and title cards, as seen in silent movies. We created something which stands out, sticks in the memory gives the campaign a real point of difference.Our imagery helps spark a thought provoking connection to the silence in the rainforests. The short animation was designed to be shared on social media and with choirs and schools all over the country. The film brings to life the ‘Singing For Songbirds’ song, illustrated with the Black Winged Starling as the star of the show. The animation follows the bird as it struggles to find its voice, eventually rediscovering it through joining together with a community of singers, choirs and other songbirds. The silence can only be broken when children learn the song and bring harmony back to the forest. We wanted to firmly encourage the audience to “Sing For Songbirds” and #breakthesilence. To support the video, parents teachers and children can download the ‘Sing for Songbirds’ notation to encourage children to play the song on the piano or guitar. The creative campaign also included songbirds fact files, event posters, ‘create your own origami songbirds’ and fundraising packs. These all feature illustrations that reflect the animation, providing that necessary link for young minds. The ‘Sing for Songbirds’ landing page quickly became one of the most popular areas of the Chester Zoo website. We are delighted to see that 29 schools have adopted the programme and the video has currently received over 6000 views on YouTube. The campaign inspired supporters to take on challenge events like the Chester Half Marathon, Tough Mudder and the Coast to Coast Walk for songbirds.